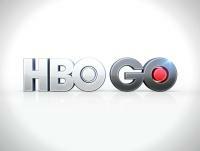 Not only is HBO Go is now also available on your iPad and Kindle Fire, but a new interactive viewing experience will be added to the HBO service, which will be available for True Blood for the first time starting June 10, allows fans to access various bonus content relevant to the episode. - An in-depth character guide that offers key info, quotes and imagery on the supernatural creatures inhabiting the world of True Blood, with characters organized by type: vampires, faeries, shape-shifters, werewolves, humans and The Authority. Interactive features that are exclusive to the experience on the iPad include social functionality–the ability to post status updates to Facebook and Twitter directly while watching. Viewers can also choose to watch the series in portrait orientation on the iPad which enables them to browse an in-depth character guide during episode playback. But the iPad’s not the only way to get this bonus content. As mentioned, the Kindle Fire is now compatible with HBO Go, as is the iPhone, iPod Touch, numerous smartphones, Roku, Samsung Smart TV and XBox 360. HBO Go itself is “free” (or included) to HBO subscribers (subject to availability among their cable/satellite provider).